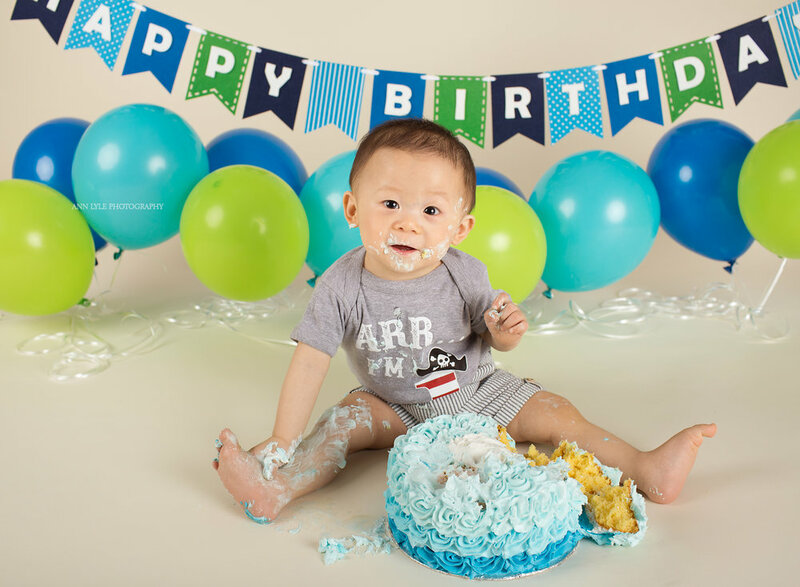 Cake Smash sessions are my second most requested session (after newborns of course!) and they continue to grow in popularity. This is a fun way to celebrate one year and the babies are so cute as they react to the massive cake put in front of them. 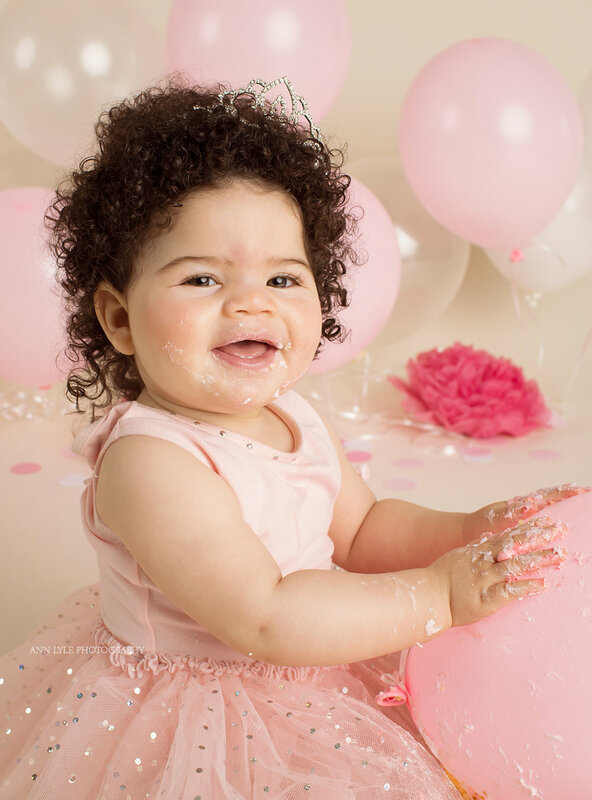 My sessions are all packages and come with the session, 15-20 digital images, a 2 layer cake and 12 balloons. Just like the newborn session, all you need to bring is your baby.